Duathlon Shorts tip – short on fabric? The Upper Side piece of my Duathlon Shorts pattern is pretty long – 64cm (25in) long for size XL, to be exact. If you’re using scraps as accents on the sides, you may find a great piece of fabric that’s too short for the piece. 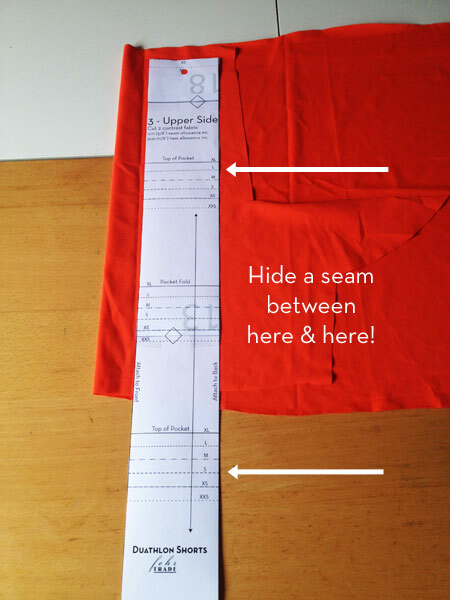 Here’s a tip – because of the way the piece folds to create the pocket, if you position a joining seam anywhere between the top “Top of Pocket” lines, the seam will be hidden inside the pocket construction! Remember there’s still 10% off my sewing patterns if you use code “VMLM14” up through marathon day! 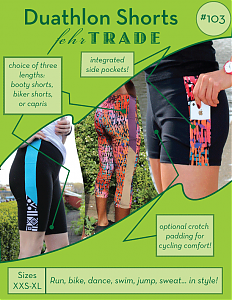 Separator image Posted in Inspiration and tagged with duathlon-shorts, fehr-trade-patterns.